or rough fingerprints Reliable performance over the widest population of users. Reads even the most difficult fingerprints. 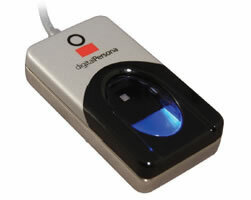 The U.are.U 4500 fingerprint reader is designed for use with DigitalPersona’s full range of software: DigitalPersona Pro for Active Directory and DigitalPersonal SDKs for your own applications.